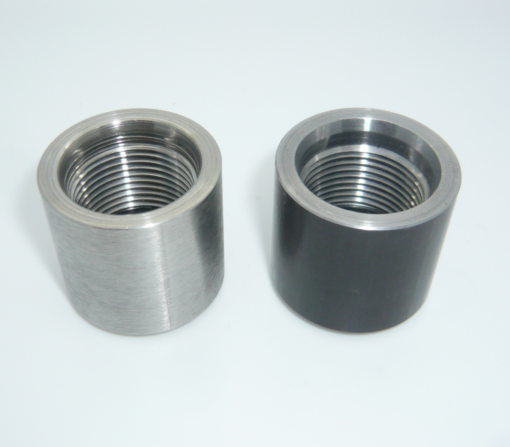 Jet Nozzle Sockets are designed to be incorporated into and welded to in-hole tools where high presser fluid is used to aid in the cutting (hole opening) by flushing the cutting surface, thus extending the life of the cutters or aiding in the cutting of softer formations. The sockets can be flush mount welded to the surface and/or countersunk into the tooling to provide socket receptacles for the Series 65 carbide jet nozzle and its retainer. Ideally the positioning of the sockets should be such that high velocity pressure is directed at the interface between the cutting edge of the cutter and the formation was increasing the efficiency of the cutter. Whereas these parts are offered individually, they are also offered as a complete Jet Nozzle Assembly. These assemblies are an essential part of any drilling contractors on-site inventory, as they can be quickly incorporated into on-site tooling when unexpected conditions are encountered. 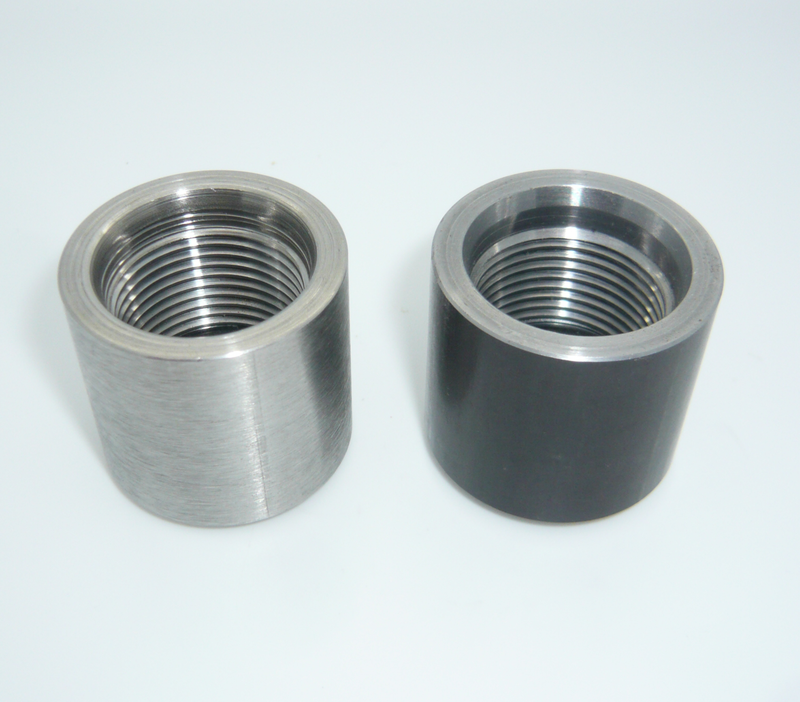 The socket weldment can be ordered in two materials, AISI-1045 Steel Alloy as well as 316 Stainless Steel. We stride to meet our customer’s needs. Customers having special design and/or material criteria are encouraged to contact us for price and minimum order requirements. AISI 1045 steel is characterized by “good weldability and (in-hole) residence to wear”. Best welding results will be achieved by pre-heating the sockets before full welding with optional stress releasing after welding. AISI 1045 is widely used for all industrial applications requiring more wear resistance and strength. AISI 1045 steel is readily welded when correct procedure is followed. Welding AISI 1045 steel in through-hardened, tempered and flame or induction hardened condition is not recommended. Low hydrogen electrodes are preferred for welding AISI 1045 steel. “Welding differing materials, such as stainless steel and carbon steel, can be a more economical choice and it can improve durability of the completed components”.